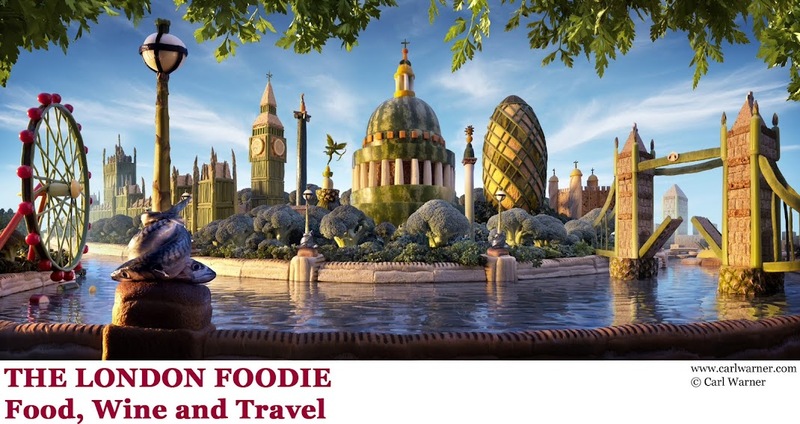 The London Foodie: Goode & Wright or Bad and Wrong - Find Out Here. Cost: Small plates start at £6.50, and main courses are priced from £14.50, with side dishes at £3. White wines start at £20.50 for a Chardonnay Vin de Pays d'Oc, and reds at £22.50 for a George Duboeuf Beaujolais Villages. There is a vintage Champagne at £45. 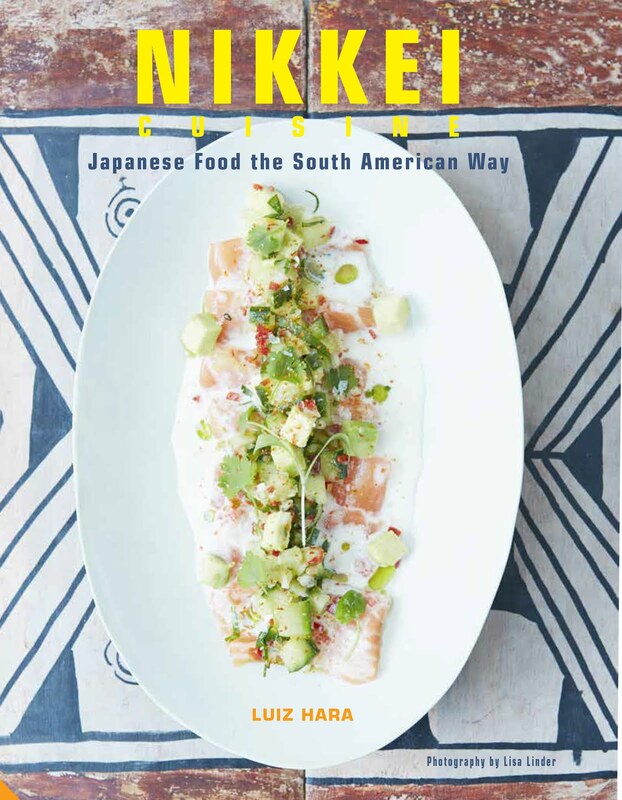 About: Goode & Wright is an intimate restaurant of around 30 covers on Portobello Road, opened in 2011, this is the brain child of chef Findley Logan and Alex Herb (an former chef himself, formerly of the Ealing Tavern) being now the front of house man. The restaurant has an olde-worlde feel about it, but in a very tasteful way, with wood panels on the walls and beautifully tiled black and white floor. The menu changes daily, and is based around 12 small plates, and 6 main courses. The name of the restaurant comes from Goode & Wright tailors, who ran their business on the premises pre-WW2, and whose name plate is still visible outside the restaurant. Deserted when we arrived at 7.20pm on a Friday evening, the place was heaving by 8.30pm, with a young and well-heeled clientele. Goode and Wright is open for lunch and dinner for six days a week, but in 2015 they plan to open 7 days a week. It is evidently the place to enjoy lunch on Saturday when Portobello Market is in full swing, but be sure to reserve a table in advance. What We Ate: We started with Devon crab with chicharron and avocado (£9). Chicharron is pork skin, deep-fried until crispy. The crab was flavoured with fresh dill and a fragrant dill oil, and served with a mayonnaise of brown crab meat. We loved the flavours in this dish and felt it was very well conceived and executed. Next came beef tartare, with capers, truffle and watercress (£9.50). The restaurant's meat is supplied by Devon Rose butchers, and it tasted fresh and of great quality. With hand chopped tender beef, flavoured with tarragon mustard, capers and a generous serving of fresh truffle shavings, this was delicious and incredibly well priced in our opinion. The presentation though looked a tad busy and the ingredients squashed into the small plate didn’t show the dish in its best light. I loved eating bone-marrow, so the bone-marrow toasties on the menu had to be ordered. Nothing I’d had before though prepared me for what came next - two massive bones were brought to the table served with toasted sourdough bread and tarragon mustard (£7). They were huge! Served with dinky metal skewers with tiny spoons at the end to scoop the deliciously flavoured marrow-fat onto the toast, Dr G and I enjoyed our bones thoroughly and got our cravings for bone-marrow appeased for at least another year! They were great. The duck egg in a basket, with chorizo (£9.50) was served with a truffle honey glaze. It consisted of a baked egg with a still slightly runny yolk, in the middle of a substantial slab of fried bread, topped with slices of fried chorizo. I think I would have probably loved this dish, had I not eaten copious amounts of bread in my other two starters. The flavours were great - I loved the combination of runny egg yolk, chorizo and fried bread and would love to try this again with a green salad, and not much else. Next up was the blackened octopus with pickled radish and pomegranate (£9.50). This was an excellent dish and beautifully presented - the octopus was very tender and the flavours were well balanced (the pickled radish added a refreshing acidity), the flavours were punchy with a lovely chargrilled flavour from the octopus. By this stage, we were quite full, but managed to squeeze in a Bergamot posset, with strawberry Eton mess (£5.50). This was light and delicious, and a perfect end to our meal. 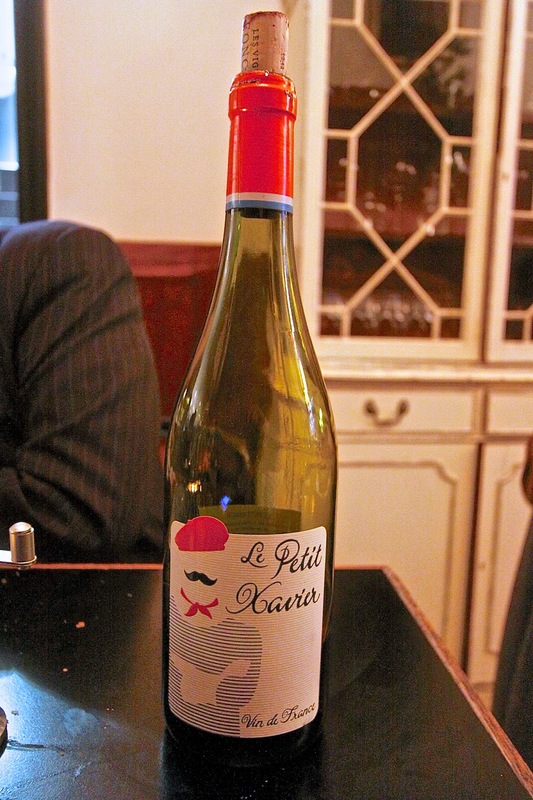 What We Drank: We shared a bottle of Le Petit Xavier, from the Languedoc (£31). Purple-tinged, this had good red berry fruit flavours, but was a little thin and acidic on the finish. At this price level, I would have expected a wine with a little more va-va-voom (structure). Likes: Goode & Wright has a vibrant feel, and is well located for those in or visiting Notting Hill. I loved their selection of small eats - honest food, well cooked and packed with flavour. Dislikes: Avoid eating every bit of bread you are served is my recommendation. Verdict: Goode & Wright offers a great selection of small eats that change daily. The food is fresh, expertly cooked and has tons of flavour. But most importantly, it will not break the bank. I loved it and will return. Highly recommended. The food may be good, but it looks very claustrophobic. Feel sorry for the waiters having to get around in such a space.